Some Chicago police officers are making kids look sharp as they get ready to head back to school. CHICAGO (WLS) -- Some Chicago police officers are making kids look sharp as they get ready to head back to school. 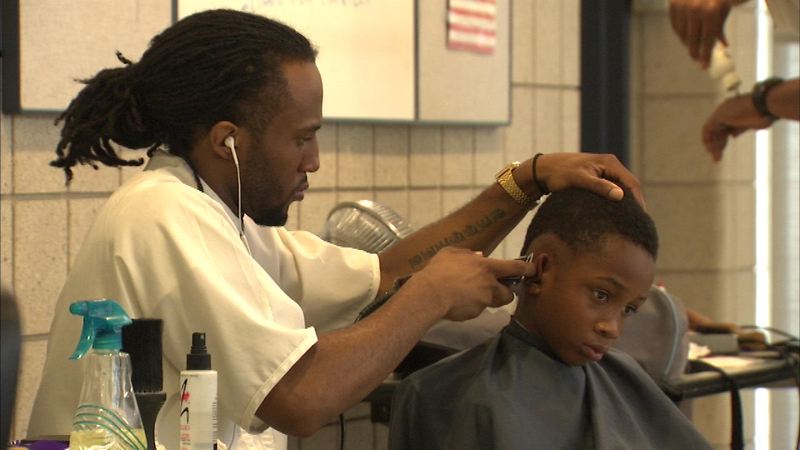 Officers gave free haircuts at the 6th District Police Station Sunday. Police organized the event with the help of local hair-cutters. It us a great way to get a fresh start on the school year, but some of these students looked like they wish summer would last just a little bit longer.